Think the clock is ticking on your dream law career? Think again! Here’s why you’re never too old for law school and what you need to do to apply. Maybe you are in your forties and your current career makes you uninspired and bored. Maybe you have been in the working world for a few decades, but you want to make a difference in the word. Are you too old for law school? Although many law students start their programs within five years of graduating from college, there are no age barriers to applying to law school later in life. Not only can it enhance your current job prospects, but it also opens up doors in areas you might never have considered. Here are thirteen reasons why it is never too late to apply to law school. In law school, you will greatly hone your communication skills. You will learn to write briefs and deliver arguments in ways that are persuasive and supported by evidence. Whether or not you go on to practice law, these abilities are important in a wide range of careers. Many students get a JD while working in other careers, often by taking classes at night. They may not ever even take the bar exam, but they use the skills they learned in many other fields. Earning this prestigious degree shows that you have passed rigorous tests and have demonstrated the ability to research, think and communicate. Any advanced degree helps your chances of getting a higher paying job. A law degree widens your opportunities, beyond the practice of law. There are numerous law-related jobs with federal, state, and local government; nonprofits; corporations of all sizes; regulated businesses, and more. They include positions in financial services, human resources, real estate, procurement, labor and employment, investigations, project management, data security and privacy, IT, IP, media relations, compliance and audits, mediation, policy and legislation, and small business formation. Earning a law degree may make you eligible for positions within your current company with higher pay and greater authority. For example, if you work in the life sciences and have a background in engineering, getting a law degree may make you suitable for high paying patent work. Businesses which require a large volume of contracts, like the entertainment industry, also value employees with a JD. You increase your worth to your current boss when you have those letters after your name! Finance is another field where a law degree can really boost your credibility and contacts. If you are investing in new markets like bitcoin, it’s helpful to know the changing legislative landscape around this new form of currency. By attending law school, you will gain an understanding of SEC regulations and prohibitions on practices like insider training. You will be a great help in making sure your workplace is compliant with legal requirements. Maybe you are in the real estate business, and you are considering going back to law school. Being able to execute contracts as an attorney will greatly facilitate closings, mortgages and other real estate processes. Real estate developers also benefit from the knowledge gained from law school. In addition to negotiating skills, someone with a legal education who understands environmental, zoning, financing and permitting law will do very well in commercial and residential development. No matter what business you are in or want to pursue, a knowedge of the ever-changing tax law is important. Law school will give you a more nuanced view of taxes than you might get from your CPA. Learning how to incorporate tax planning into the growth of a business is a vital intelligence. By earning a JD with a specialization in taxation, you will also become eligible for jobs involving the highest levels of financial planning. Very few people can skate through life without needing an attorney for personal matters. Most find that at one point or another they will need the services of an attorney who specializes in divorce, personal injury, real estate or small claims. 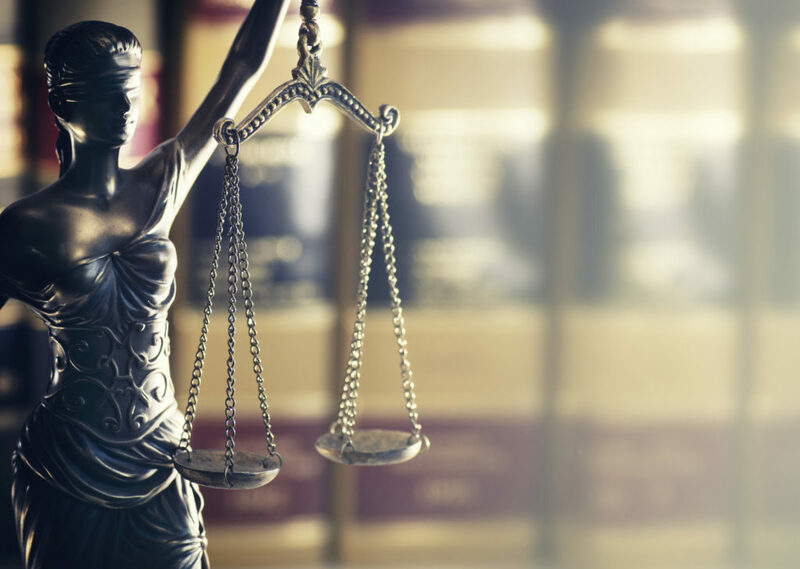 Usually it is not advisable to act as your own attorney, However, if you have been to law school, you are better equipped to find the right attorney for your particular situation. You will know what questions to ask and even some of the processes they will follow. In law school, you will be asked to summarize cases in front of your whole class. You will have to give legal reasoning behind a court’s decision, with all of your classmates watching you and ready to argue. You may be a participant in “moot court,” which simulates a real-life trail. Most students finish law school with a remarkable confidence in their ability to carry on oral arguments. No matter how old you are and what you decide to do with your law degree, you will always do well if you know how to argue effectively in front of a group. You may think you are too old for law school, but the truth is that more mature students often handle the pressures of life better than younger ones. Young law students often complain about the lengthy assignments and the volume of reading they are required to do. More mature adults bring with them a better grasp of time management. If you have balanced a full-time job with raising a family, you have more practice than others in juggling priorities and getting stuff done. Remember, Ruth Bader Ginsburg was first in her class at Harvard Law while raising a toddler! That’s effective time management. If you have seen “The Paper Chase,” you understand the terror of a first-year law student being grilled under the Socratic method. The Socratic method is where the professor asks you one question, then another, then another, possibly tricking you in an escalating battle of wits. Instead of reciting an answer memorized from a textbook, law school requires you to use logic and deduction. You must know the facts and the law, and be able to formulate a strategy that uses them both. All of this must be done before an audience of your peers, adding to the potential for total humiliation. Older students tend to have lived through tougher things than getting grilled by a law professor. They usually have more confidence and adaptability than younger, less mature students who may wither under the questioning of a tough teacher. Writing is another skill that can always be improved, no matter what your age. Legal writing requires precision, structure and cogent analysis. Law school also offers plenty of opportunities to work on your writing, including the chance to intern for judges, write law review articles and assist professors with their research. Maybe you want to go to law school in order to change the world. Do you want to run for Congress and help pass better laws? It helps if you are a lawyer. Many politicians are law school graduates. Law school gives you a historical context for the current government and will instruct you on the underlying policies for today’s laws. It will also teach you the process for changing laws and challenging precedents. Arguing is an important skill in today’s world. Whether it is a neighbor challenging your property line with a new driveway, a contractor who charges you double the estimate or a partner who renegotiates on a deal, you need to know how to fight your case. Law school graduates acquire argumentative skills which enable them to deftly handle all of life’s small and large issues. If you are wondering whether you are too old for law school, get over it. You may actually be very appealing to law school admissions officers if you provide a diverse perspective and a set of experiences that set you apart from more recent college graduates. With a JD, maybe you will get a job at a law firm. Maybe you will take your knowledge and open your own firm, or business or not for profit. Maybe you will stay with your previous job, but you will rise through the ranks faster with your advanced education, improved speaking abilities and firmer grasp of legal concepts. For more advice on business, education and life, check out my blog.